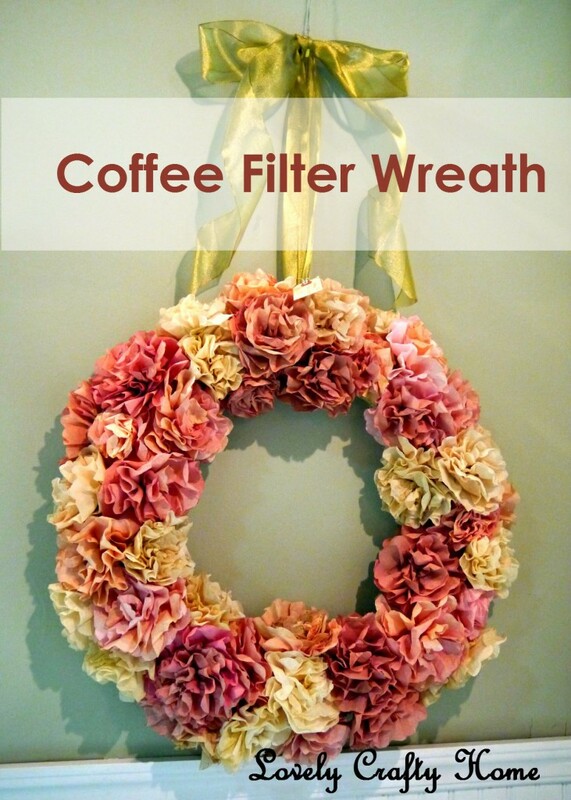 I have been loving all of the adorable wreaths on Etsy and Pinterest lately. It’s something I’ve been wanting to make for a while, and I finally got around to it this week. I’m so glad I did! 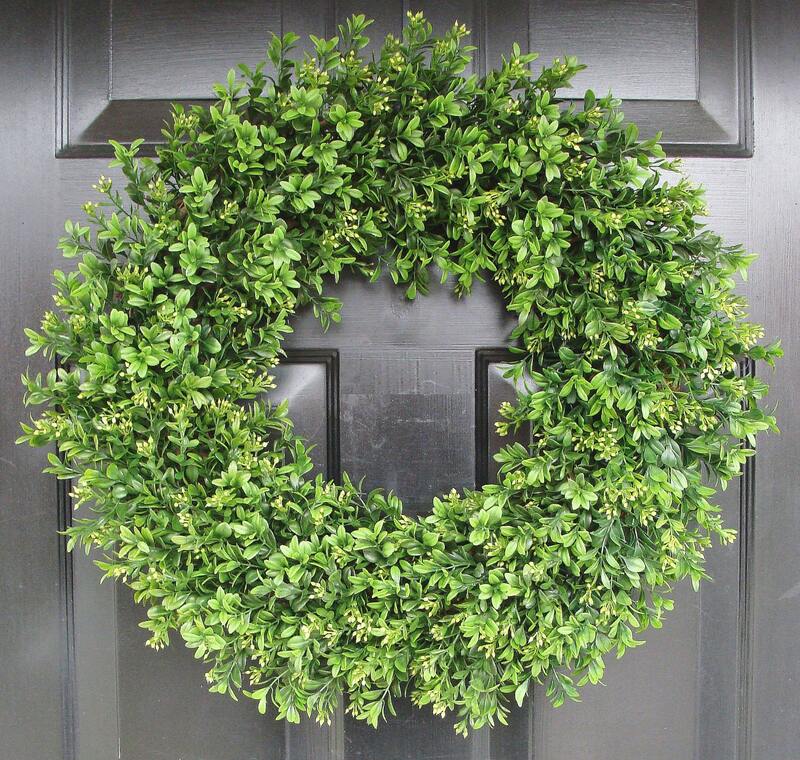 I had never really thought about hanging a wreath on my door other than at Christmastime, but it really adds character and dresses up the front door. 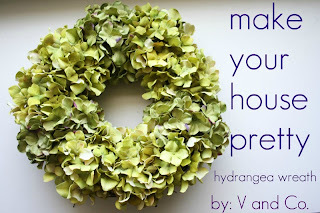 What I used for this project: Grapevine wreath ($4.99 at craft store), Fabric, Glue gun, Scissors, Teeny-tiny letter (19 cents at craft store), acrylic paint (for the letter). I was able to finish this entire project during my son’s naptime, with time to spare! So I would estimate it took me maybe an hour from start to finish. I could’ve probably finished it even more quickly if I had already been familiar with making fabric flowers, which I had never made before. Fortunately I found some really helpful tutorials online, and they really aren’t all that tricky to make. 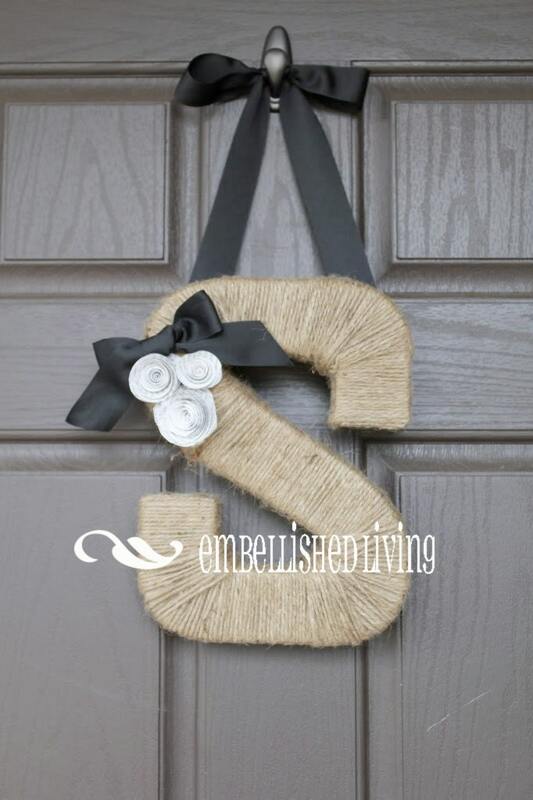 I painted the little “S” with acrylic craft paint and glued it on for a final touch. I would guess the whole project cost me around $10-15. 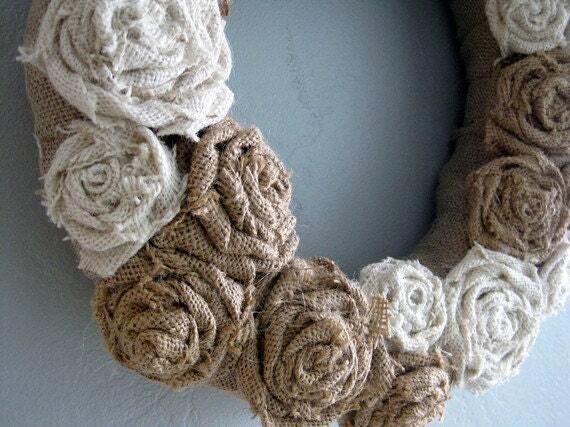 I already had the burlap, glue gun and paint. I bought a small bundle of assorted fabric for $6 (after my 40% off coupon – always check the store’s website for printable coupons! ), but any fabric will do. 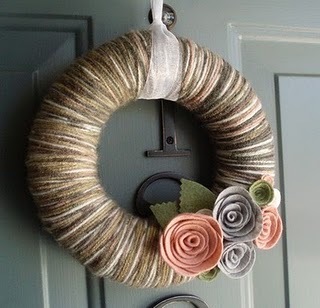 Most tutorials recommended putting felt on the back of the flowers before gluing them onto the wreath, but I didn’t have any so I used cotton duck fabric instead (a little bit heavier cotton). It worked just fine. « Seriously, Toilet Paper Roll Art? Yes! 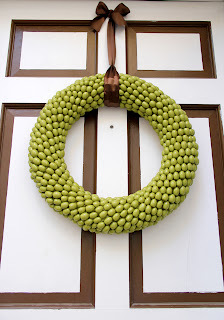 Thank you for including our wreath in you post! You found some beautiful wreaths and we are thrilled to be included! You are welcome! I love your wreaths. Thanks for stopping by! 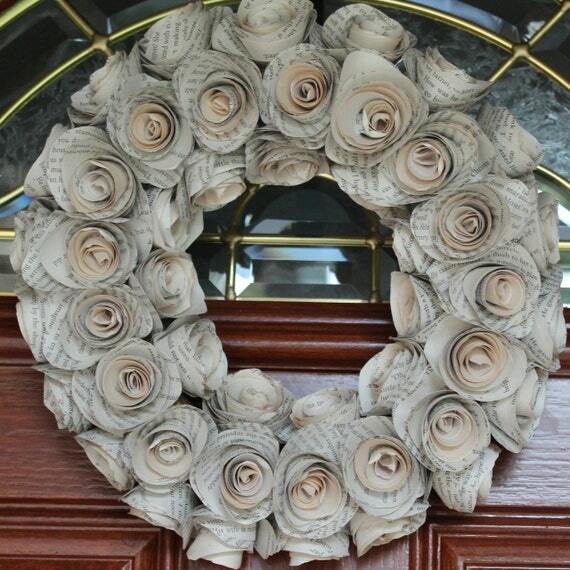 We just wanted to thank you again for featuring our wreath. We’ve had traffic from your blog numerous times a month since this post! We also wanted to tell you that we all follow you on facebook and love your blog and facebook posts. Thanks for all the inspiration and DIY tips, tricks, and knowledge! Thanks so much for your comment. I love your wreath and was happy to feature it!